Tired of shallow, limited integrations? Upgrade your stack with Deep Data Integrations. Deep data (n) – The information that provides answers and solves problems. The actionable insight extracted from massive amounts of data after it is analyzed, unimportant information is stripped away, and it is organized. Much more than your average integration. When you first set it up, all the historical data from the past is synced. Connect an ecommerce solution, you'll have a complete record of all your customer's purchases and orders. New customers and orders would be added in real-time. We've created workflows to help you leverage the data so you can hit the ground running. Utilize triggers and conditions unique to the app you've integrated. This data is now available to power your automations. You'll have new ways to trigger automations, segment your prospects and customers, and measure the effectiveness of your marketing & sales processes. Use rich data to send perfectly timed, hyper-relevant messages to your contact's inbox, phone, and while they're browsing your site. Feed information from all the apps you're using so that you can gain a complete picture of your marketing. Know where your contacts are in the customer lifecycle. Available for the best-of-breed solutions you use everyday. We're partnering with companies providing the powerful solutions you use to run your business. Organize & leverage data from your entire stack. Say goodbye to abandoned carts. 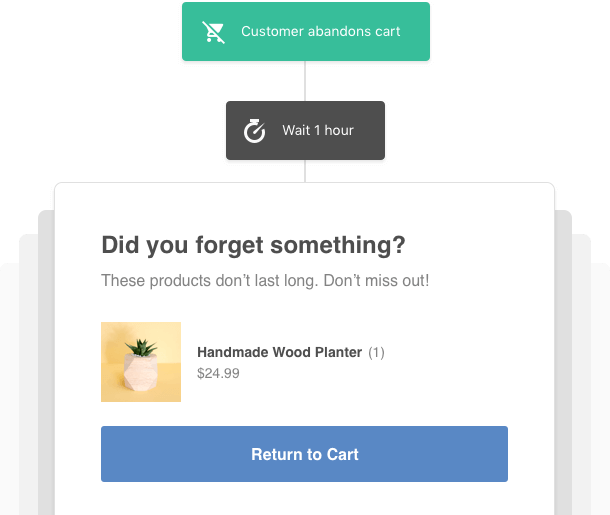 If a customer abandons their shopping cart before checking out, send automated emails reminding them. 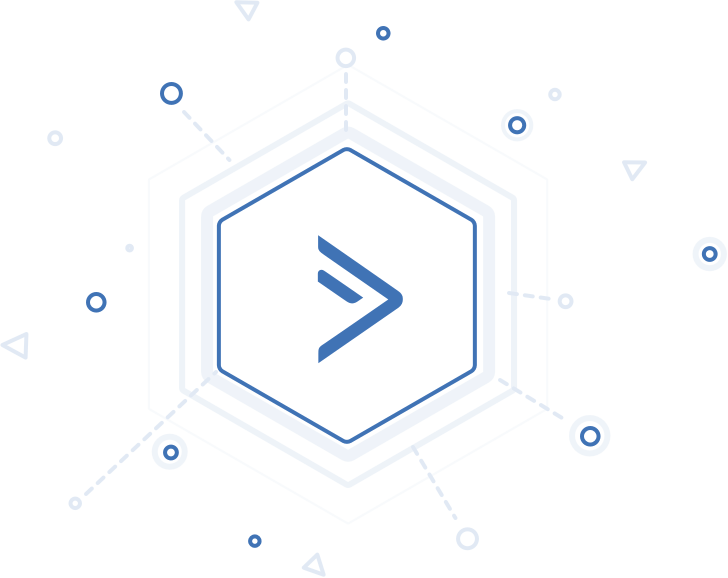 Once data from your entire stack is consolidated, it can be leveraged for predictive modeling, cross-platform reporting, and business processes. ActiveCampaign becomes the brain powering your business and delivering the insight you need to make better decisions.